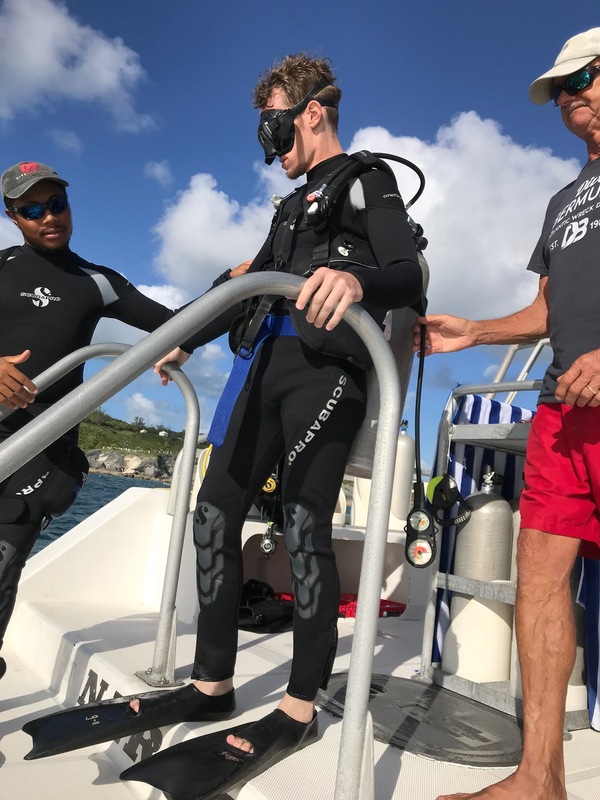 This week I faced a lifelong fear and went scuba diving with PADI in Bermuda while at the Family Travel Association summit. It was more challenging than running with the bulls (yes, seriously, I’m fleet of foot and I grew up around cattle – that test was built for me). I was basically the last one in the boat during the shallow training on the basics. 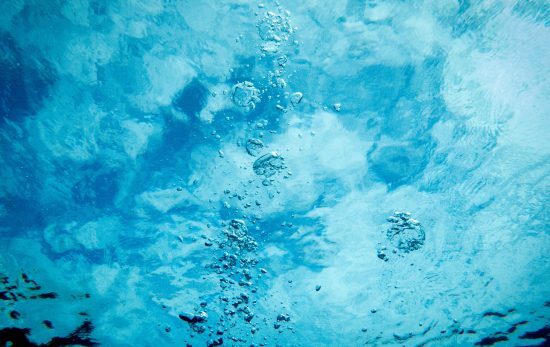 I couldn’t mouth-breathe without thinking about every inhale, so I was underoxygenated and panicked a lot. The instructor was effortlessly reassuring. After several misfires, he let me know I could back out and nobody would be bothered. He even told me he’d backed out before during a dive and it was often wise to trust your gut on these things. This is wisdom, I thought. So I stood up out of the water and I looked around and had this moment: I’m in Bermuda, traveling the world for AirTreks, why do the hard thing when I could just be on the beach with a drink in hand? And then I realized that the fear and discomfort were minor things in a major moment. We have this saying in our house, “a small thing to a giant.” Courage is often about realizing inner strength, and we’re literally made of stellar material, so I like to think within me is a starload of cosmic force just waiting to become kinetic energy. I decided this was about my mind, not about the activity or the breathing or the equipment. Who is in control of my mind if not me? I leaned on all of the years of practice I’ve done on centering, calming myself, being present in working with the fears of others through my work in ending sexism, violence, racism and general xenophobia. And it worked. I descended the 25 feet down to an anchor, just keeping my eyes on the rope and my instructor. Once we reached the sand, I looked up and had a few moments of reptile-brain anxiety that were absolutely terrifying. There was nowhere to go if I choked. No back up plan, no way to fake it til I make it, no way out. My instructor asked if I was ok (with hand signals), and I replied that I was so-so, but I pantomimed that I was working on steadying my breathing. 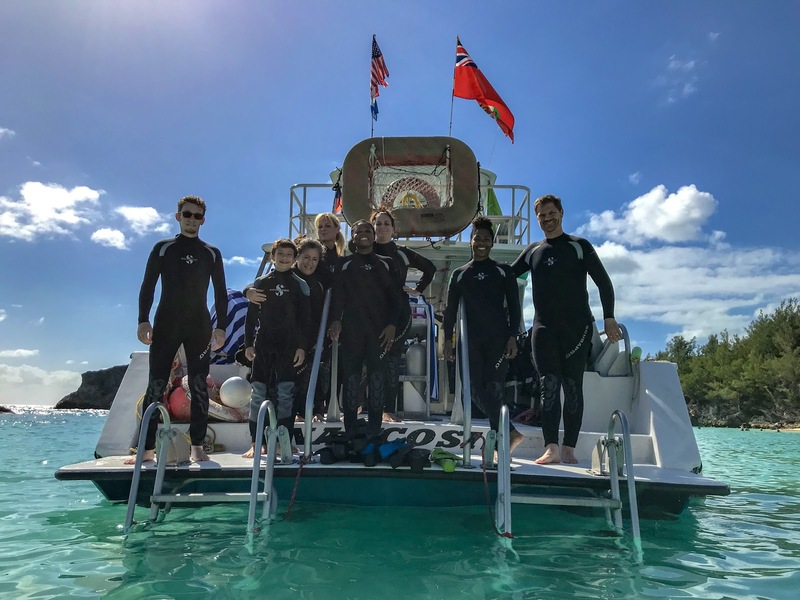 After about 30 seconds of conscious, slow, optimistic breathing, I began to look around and let myself be distracted by a teeming coral reef and magnificent colors. Then I relaxed. How could I not? I signaled the OK and we were off, swimming alongside a dynamic reef with marine life thriving in every inch. I realized that we were seeing the equivalent of old-growth forests underwater, many of these coral were hundreds of years old. Awe-inspiring in its own glory, I admit I was hoping to see maybe a mermaid or Jason Momoa swimming around, but in the end I was satisfied with myriad colorful fish and a handful of other human divers. There’s a spectacular world just an air tank away. Obviously I knew that, but I never really thought I’d go see it. I thought of the water line as a barrier. I let my fear dictate the safety of my place in the world. 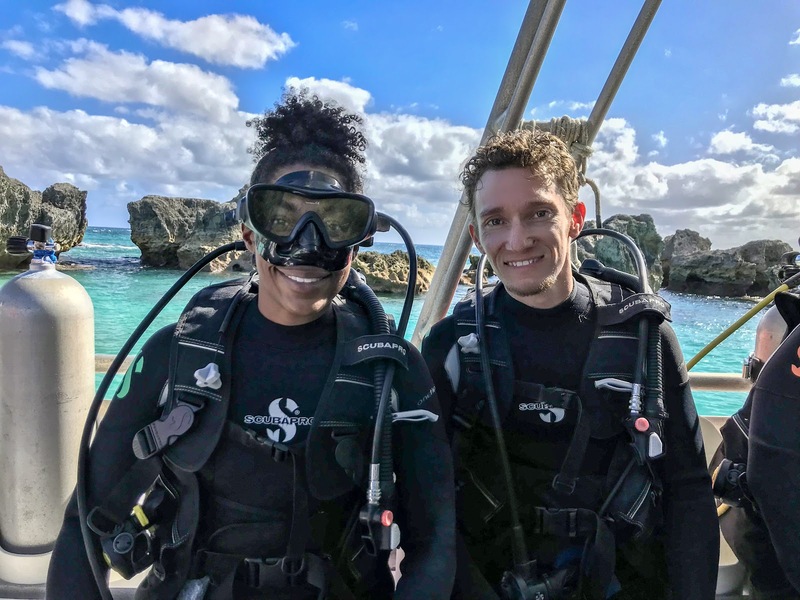 I’ve spent my life trying to break down xenophobia (through international travel and activism), and so scuba diving was just one more way to break down a barrier within myself and to allow other experiences into my bubble. It may not seem like that big of a deal to those of you who have dove many times, but to me this was a moment that will leave an indelible mark on my mind. Like that first panoramic view from the summit of a mountain. Or that first feeling of the wind catching the sails out on the water. Or the sound of spring water tumbling over rocks as my grandfather’s fishing rod zings out over the mountain stream. 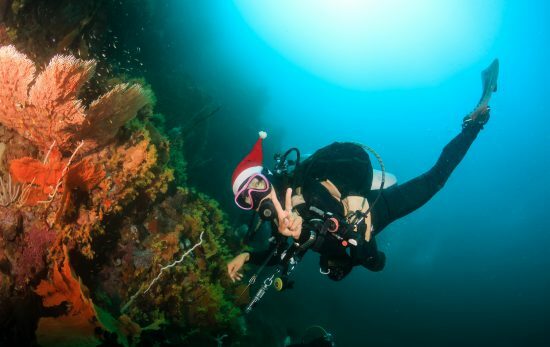 I may never dive, or ski, or sail, or fish again… but these moments altered my perspective. For you it may be galloping horseback, or that first take-off as a new pilot, or hitting that power chord in front of a crowd… whatever it is, I hope you’ll trust that inner stardust to empower you when the moment presents a barrier you’d never thought to test before. There’s a whole world out there past your barriers. Go find it.